Bananas are one of the few foods I really don’t like. Bananas and cantaloupe, in case you were curious. Banana bread, however, is one of my favorite things ever. And because I’m impatient, I often make it in muffin form. Eighteen minutes is long enough to wait, don’t you think? These are gluten free but you wouldn’t know it. In fact, I didn’t even tell Jack until after he had already inhaled three. I used Pamela’s Gluten Free Baking & Pancake Mix and the texture came out just perfect. The flavor – sweet and banana-ey…everything you’d want in a muffin, gluten free or not. I added blueberries, but you could try chopped walnuts or even chocolate chips. Preheat oven to 350 and prepare a 12-cup muffin tin with papers or cooking spray. In a large bowl mix together Pamela’s Baking Mix, cinnamon and salt. In a medium bowl, mash the bananas, then whisk in vanilla, coconut oil, sugar and eggs. 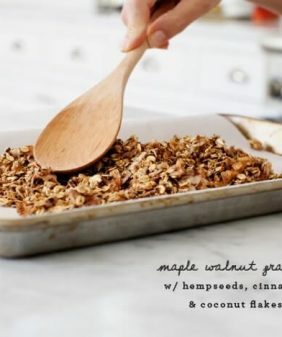 Pour the wet ingredients into the bowl with the dry ingredients and use a wooden spoon or spatula to mix until combined. Bake 16-20 minutes or until a toothpick comes out clean. I’m eating banana blueberry pancakes and these flavors would be great in a muffin! Yum! I, too, share your love for banana bread, especially in its speedier iterations. I am also a particular fan of banana bread filled with things like blueberries, or walnuts. I believe even eighteen minutes would be too long to wait before making these lovely muffins. To the kitchen! Those are gorgeous! It’s so cool when you eat something that’s gluten-free but doesn’t like beans, or has a grainy texture. I LOVE banana bread too, it just seems to transform the bananas to a wonderful sweet and kind of savory goodie! Thanks! They’re called tulip liners (or cups), yep, they’re parchment. I initially got them for the look, but I really love how I can lift them out of the pan easily while the muffins are still hot. I always make the parchment paper liners myself. You just have to cut the paper into 5’’ x 5’’ squares (or larger for jumbo muffins). If you prefold them a little, it’s easier to put the batter in. They look delicious! Nom Nom! Will definitely try !! I don’t have a tested recipe substitution right now that’s as good – but I have some other flour-less sweets coming up soon! These looks fantastic. I love the parchment paper wraps! Oh man, how can one hate bananas?! You are probably the first person I’ve heard of who doesn’t like them. There is nothing worse than a pile of icky canteloupe in a fruit salad! Yech. Getting back on track, these muffins are the blending of two of the best foods in the world! Blueberry muffins and banana bread all in a convenient and quick cooking sweet little parcel. Can’t wait for my bananas to brown so I can whip up a batch to share with my little sister (banana bread is our love language). Thanks for sharing. I have tasted banana muffins so far, the addition of blueberry must be great! Blueberries in banana muffins – love the combination but have never thought of it before. And I agree, I prefer muffins too because 18 minutes is long enough to wait for baked goods! I totally could have written this intro myself: not a lover of bananas (check! ), but a lover of banana bread (check, don’t judge us!) and I often decide to make muffins too, because muffins = faster = better. I often make a version with ground oats, but these look lovely and light. Gonna try them soon. These look gorgeous and delicious. 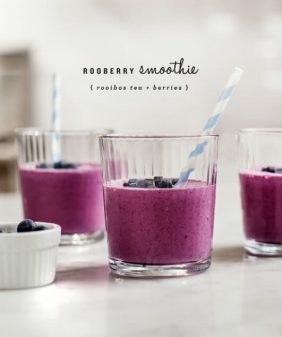 Love that you used fresh blueberries– the only kind in my book! I’m waiting for Sunday brunch right now and these muffins look so good- they are exactly what I want right now! Can’t get hold off pamela’s mix over here. What would you use to substitute it? Hi Lydie, so sorry, I don’t have a good (tested) sub right now – I have some other gluten free treats coming up soon though! 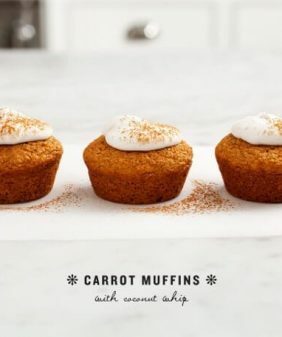 This sounds a good muffin recipe …. although I might just change the blueberries for chocolate nibs – not such a big blueberry fan. It looks wonderful, I will try it out myself soon. Ahhh these look amazing!! Definitely trying this recipe. And I love your measuring cups! Adorable!! 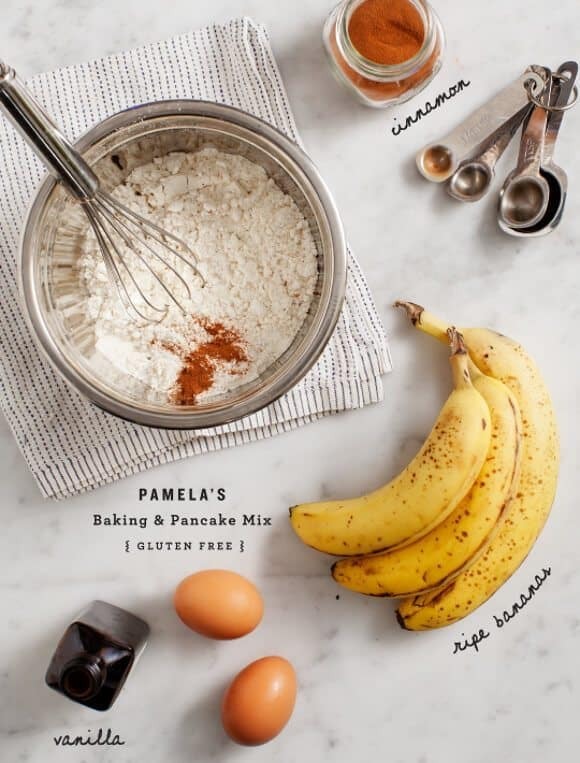 What could i use instead of Pamelas flour? These muffins look so delicious. I am constantly looking for gluten free recipes to make for my brother since he is allergic to gluten. The other bad thing is that he is sure that gluten free things taste horrible. I’m sure that with these he would not have a clue that they are gluten free. 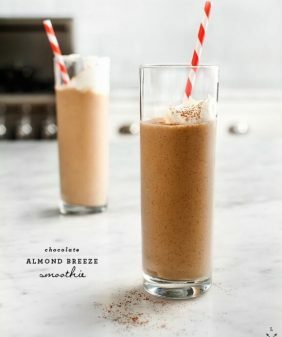 I can not wait to try to make these tonight, and try them out on my room mate before I make them for my brother. I am quite positive that these will be amazing, and a big hit at my house. The other thing that I really like about this recipe is that they seem really simple to make, and not a big mess to clean up. Yum!!! 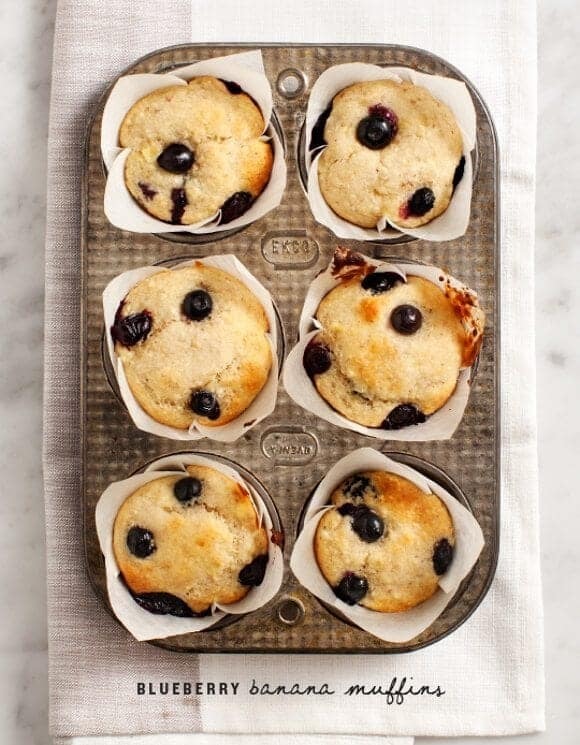 Blueberry muffins make everyones day heaven! I was just wondering if you have a flour mixture that you’ve come up with that is gluten-free and dairy-free…and that doesn’t come in a package. I’m sure it’s more work but I was just wondering. I have a great recipe but it’s a bit on the “heavier” side and I don’t like to use starches or white rice flours. Picky yes I know! Just thought I’d ask cuz you are a marvelous cook! Thanks a ton. Your recipes all rock by the way! Hi Mandy, sometimes I use a combo of oat/almond flour. 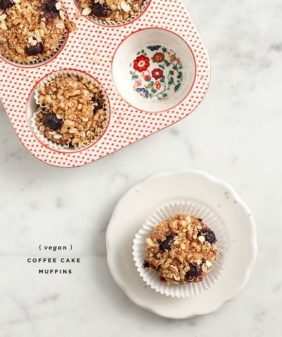 (ie, in this recipe: http://www.loveandlemons.com/2012/04/01/almond-coffee-cake/). It’s not a go-to mix by any means but it works for certain things. This recipe is absolutely great and I would love to try it. However, I’m not a big fan of eggs. They make me produce excessive amount of mucus, and make me feel bad. Since I adopted a more holistic approach, I would like to replace them with something natural. But I’m not sure what to choose that would be whole food and not some manufactured vegan-ish substitute. I haven’t tested a version of this recipe without eggs so I can’t say for sure what else would work here. many thanks for all your delicious recipes!! Hi debi – yep 1 cup plus 3/4 cups flour. Hope you like! I made these muffins and they were gone in an hour! amazing! so delish. I use different GF baking mix, but I think anything would work well. These were super yummy!!! 🙂 I will definitely make them again. I made these yesterday with a few modifications: I used my own GF flour mixture (typical mixture of brown rice flour, potato starch, tapioca and Xanthum), and added 1.5 tsp of baking powder and .5 tsp of baking soda. I also used butter instead of coconut oil (I just don’t like baking with coconut oil). I also added some chia seeds, which provided a little “crunch”. I used frozen blueberries (right from the freezer), and the batter did not turn blue. I also did not use liners; with my particular oven, I have a very hard time getting GF baked goods to bake all the way through. Baking sans liners helps a lot. These turned out really yummy!! Hi Traci, I’m glad you liked them! Sounds like you have a really good gluten free mix worked out! Can I omit the real eggs with an egg replacer? Delicious, these are my favorite. soo tasty. Thanks for sharing. Do you have the nutritional info on these? I would also like to know the nutritional information on this recipe. Calories, Fats, Carbs, Fiber, Protein, etc pleaseeee! What would you suggest replacing the pancake mix with? 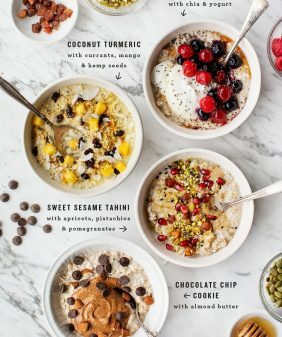 Could I do just almond flour?